Holy Spirit, God of Love, be present to me; accept the offering of myself which I make to you. Receive these hands, these feet, these eyes, this tongue, and all my senses. Receive my memory, my will, my understanding, my desires, my sighs, the longings and the aspirations of my soul. Receive my every hour, my every moment, and all the happenings of my life. Holy Spirit, God of Love, knit my soul to you. Let your love possess my whole being - my senses, my powers, my affections, my very life. Let your love rule my labor and my rest, my going and my staying, and move me as it pleases. Let your love disquiet or comfort me, humble or exalt me, and burn away all my faults. Holy Spirit, God of Love, draw me to yourself. Do with me what you will. Nothing will cause me fear if only your love enfolds me. I ask confidently because your desire to give is greater than mine to receive. Transform me into yourself, so that I may no longer know myself, nor find myself, except in you. Then the Lord said, “I have surely seen the affliction of my people who are in Egypt and have heard their cry because of their taskmasters. I know their sufferings, and I have come down to deliver them out of the hand of the Egyptians and to bring them up out of that land to a good and broad land, a land flowing with milk and honey, to the place of the Canaanites, the Hittites, the Amorites, the Perizzites, the Hivites, and the Jebusites. 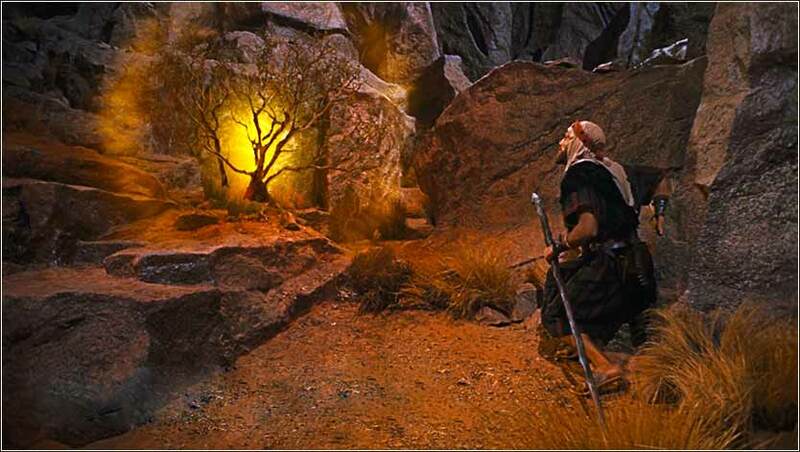 As we discussed in Exodus 3:1-6, Moses is not a particularly righteous man; his future as perhaps the greatest prophet of Judaism was not announced by angels at his birth, his mother was not visited in her pregnancy. While he seems strong and resourceful, he is by no means extraordinary, especially concerning his faithfulness to God. So when he says, "who am I that I should . . . bring the children of Israel out of Egypt? ", he is not being modest or humble. It is more along the lines of, "You can't be serious." Imagine an African-American murder suspect who has fled to rural Alberta, who has found a life working as a ranch hand and doesn't go to church, being told that he is to become God's great prophet. And by a burning bush in the middle of nowhere! Moses is understandably dumbfounded. He is not prepared for this in any way. He was raised partly as an Egyptian from birth and has no great knowledge the Hebrew God. He has not even circumcised his son, as we will see a bit later. He is not a leader of men or a practiced orator; his adult life has been the lonely and often solitary life of a shepherd in the wilderness. Exodus tells us the names of the seven primary tribes of Canaan, but it is the only source historians have for much of the information. The Hivites, Perizzites, and Jebusites are unknown outside the Bible, although the latter two are mentioned in tablets found by archaeologists in Egypt, dating to @ 1400 B.C. (the "Armana Tablets"). The Amorites and Hittites were powerful ancient empires in Syria and Mesopotamia; apparently a fair number of each drifted down into Canaan. The Canaanites were a widespread, incohesive Semitic people inhabiting the lowlands between the Jordan River and the Mediterranean. (We will get yet another odd name, the "Girgashites", a tribe in the very north of Canaan, in Deuteronomy and Joshua, which Joshua will have to subdue). 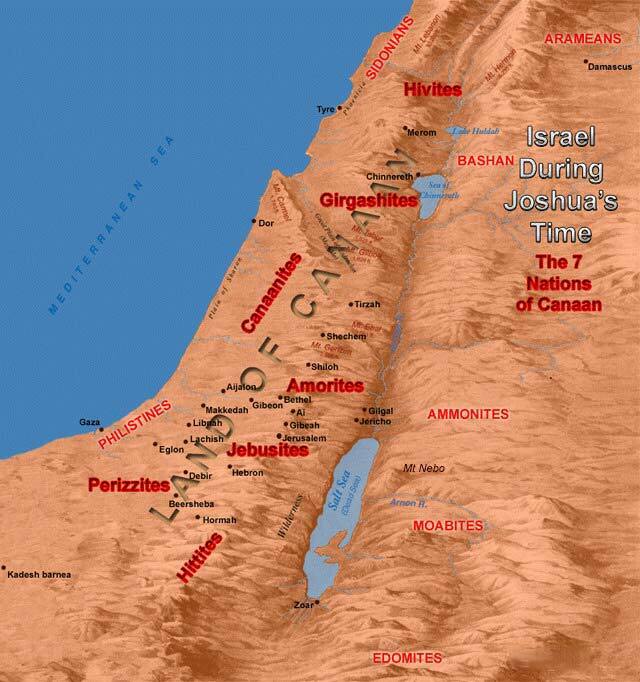 See Map of the Seven Nations of Canaan. 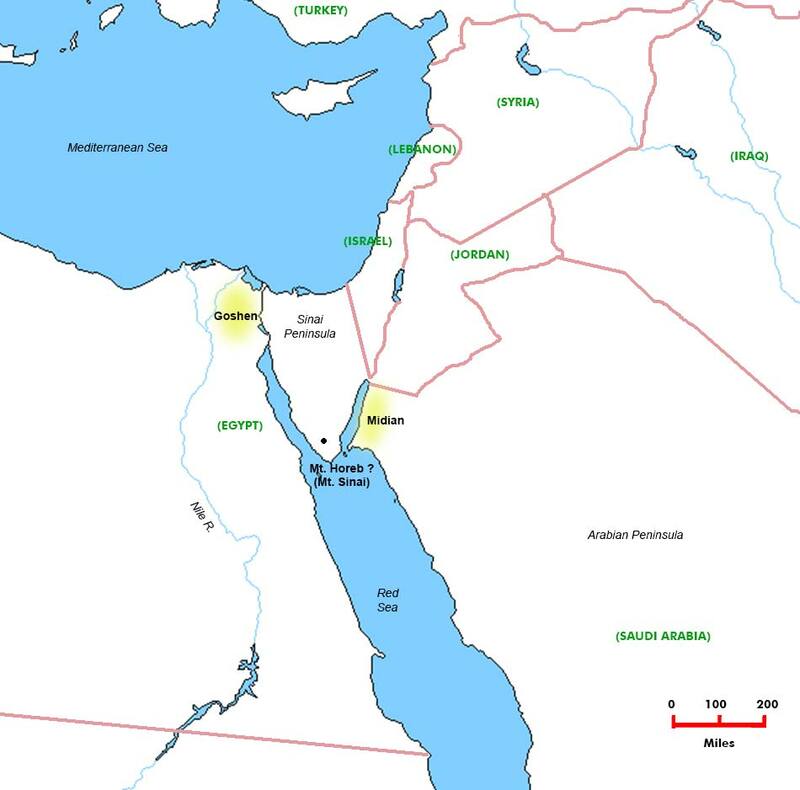 To put the geography in perspective, we have made a map showing the areas mentioned so far in Exodus, although the location of Mount Horeb (later called Mount Sinai) is speculative. Map for Exodus 2. 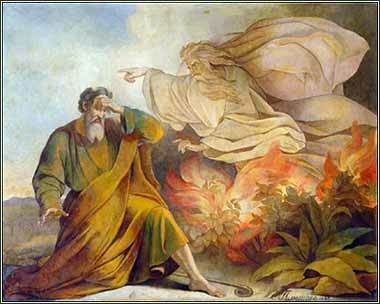 God Appears to Moses in Burning Bush by Eugene Pluchart, ca. 1848.